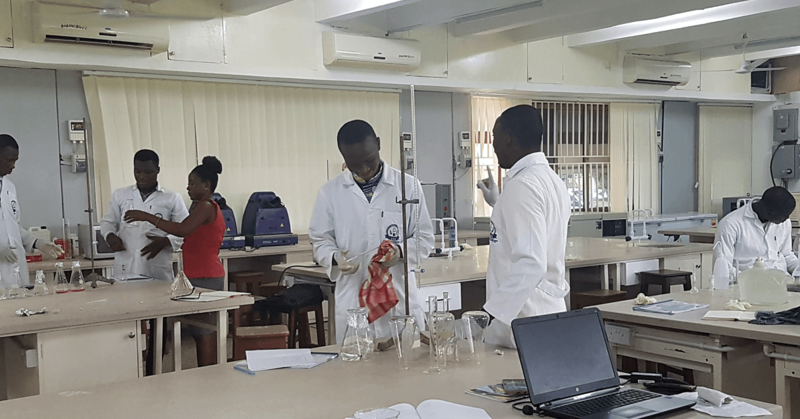 Founded in 1962, the University of Cape Coast's (UCC) initial focus was training teachers. 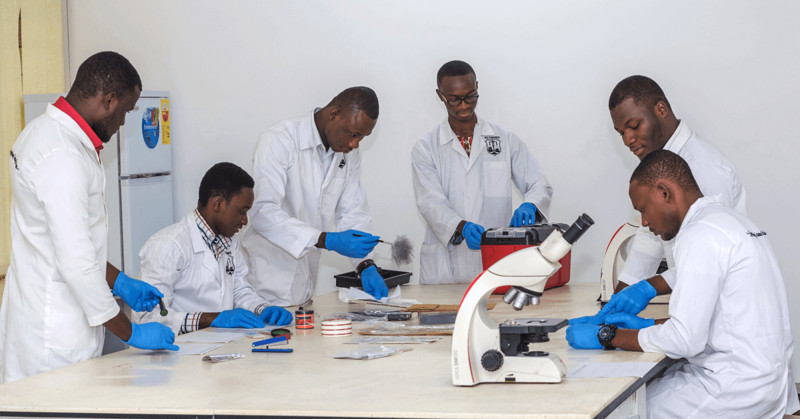 It has since expanded to training Ghanaian professionals in a variety of disciplines such as healthcare and the natural sciences. In 2015, UCC established the Department of Forensic Sciences to fill a national need for expertise in forensic sciences. BSc students are trained in biological and physical sciences, as well as law. It is the first and only program of its kind in West Africa. In the near future, the department also plans to launch a joint MSc training program with the Gujarat Forensic Sciences University in India. Ongoing research focuses on drug discovery, novel psychoactive substance detection, discovery of new biomarkers of doping agents, method development to detect fish caught and processed with illegal methods, and the use of diatoms as a reliable forensic investigative tool. Trained as a bio-inorganic and analytical chemist, Christian K. Adokoh, PhD, a lecturer in the Department of Forensic Science at UCC, views himself as an investigator trying to solve one of medicine’s greatest mysteries: how to deliver drugs to diseased cells without harming healthy ones. His research focuses on designing and synthesizing drugs to fight cancer and diabetes that contain metals such as gold, which would normally be harmful to the body. This involves combining metal nanoparticles with carbohydrates in specific configurations to ensure that they do not attack healthy cells. Dr. Adokoh’s complexes have so far shown promise in fighting breast and prostrate cancer cells in the lab. Next steps will involve studies in animals and additional lab work to understand the mechanisms by which they work and fine-tune the targeting system. The eventual goal is to reach clinical trials in humans. 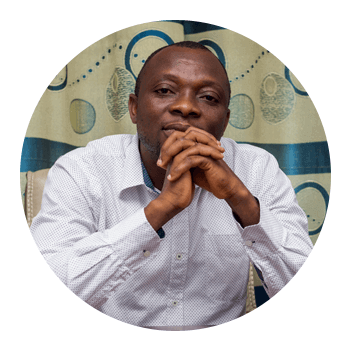 Analytical chemistry, as Dr. Adokoh sees it, is a type of forensic investigation. "Forensic science is an investigating science which deals with using science to investigate crime," he explains. "My field typically falls under forensic chemistry and forensic toxicology studies, where the use of analytical tools in investigative sciences are employed. The investigative nature of forensic science—and the fact that it deals with the application of the natural chemistry to solve problems—interests me a lot." Dr. Adokoh looks forward to receiving equipment in the Instrumental Access shipment that will strengthen the analytical capabilities of the Department of Forensic Science, as well as its basic lab infrastructure. Arrived in Ghana August 2018. See the highlights here! 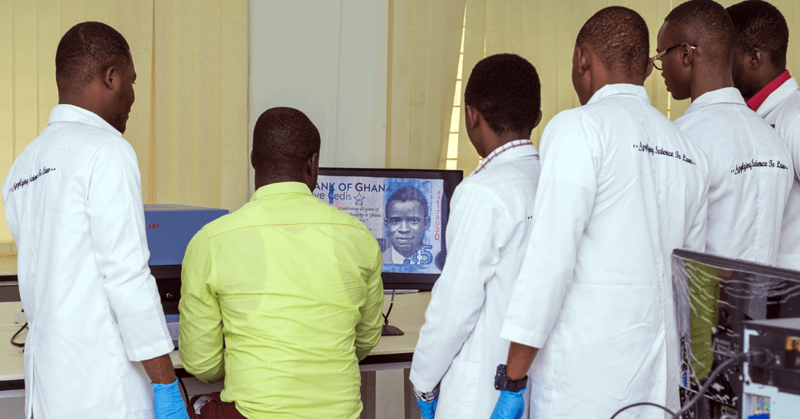 The newly-established Department of Forensic Sciences at UCC seeks to train a critical mass of forensic scientists to support an efficient judicial system in Ghana. Equipment is needed to provide students with hands-on experience in both the biological and physical sciences related to criminal investigation.